The MechREX is a monstrous sci-fi creature that brings the perfect balance between over-the-top collosal features with mechanical, real-world designs. Several techniques and processes have been employed to create and refine this armored beast that not only looks cool, but that also offers logical battle functions. 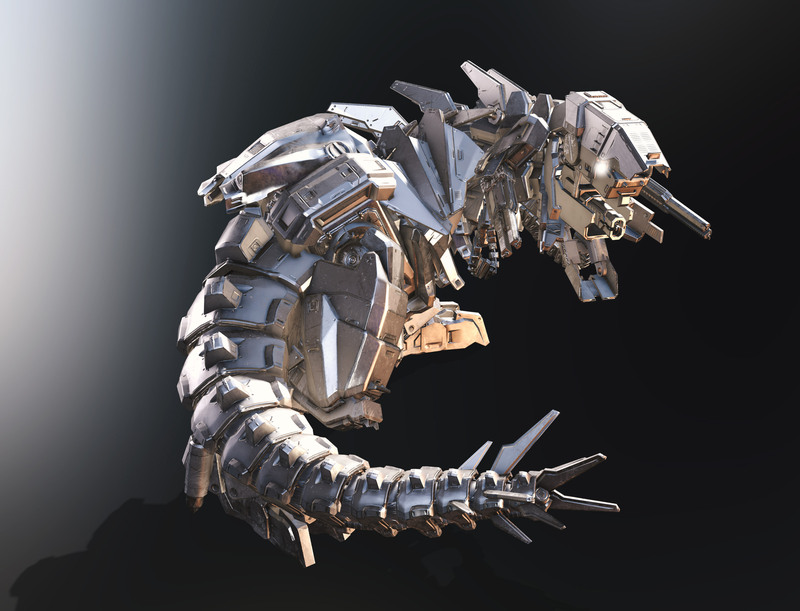 One MechREX texture style is composed of three different sets of PBR materials used separately for head, body, tail, and leg segments. Additional materials have been provided in 4K resolution for ultimate render quality and details. 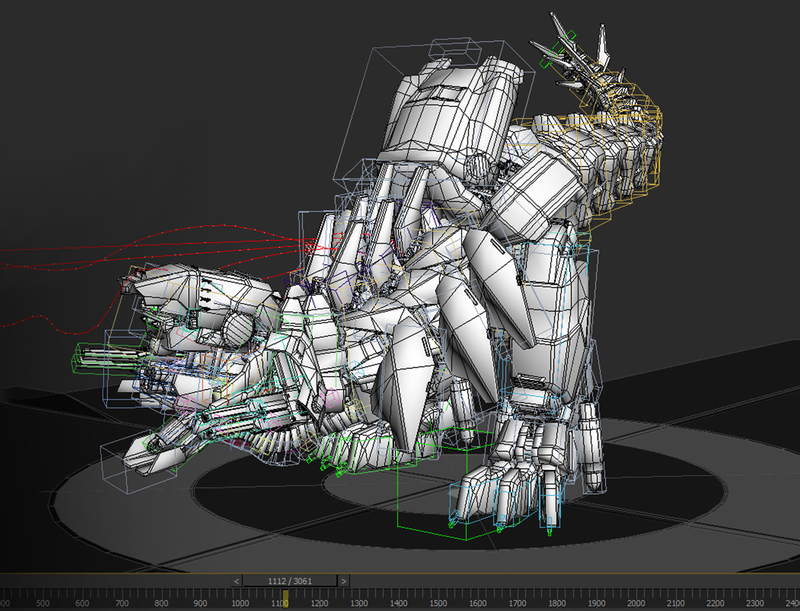 Inside you will find 15 exquisitely animated MechREX motions representing iconic combat movements for this battle beast. You will get epic combat stances complete with firing cannons, machine gun ammo belts, head charge, and tail attack as well as search, menace, walk, run, idle, injured, and casualty motions. UV materials are provided with Normal, Metallic, Roughness and occlusion maps, allowing you to easily customize and create new armor styles with your favorite 3D paint tools. The Battle Mech Series - MechREX pack is part of the Battle Mech Combo. This is a high-quality mechanical monster! This titan of a beast has platted-thick armor and a powerful tail that can easily destroy all enemy defenses in one charge. 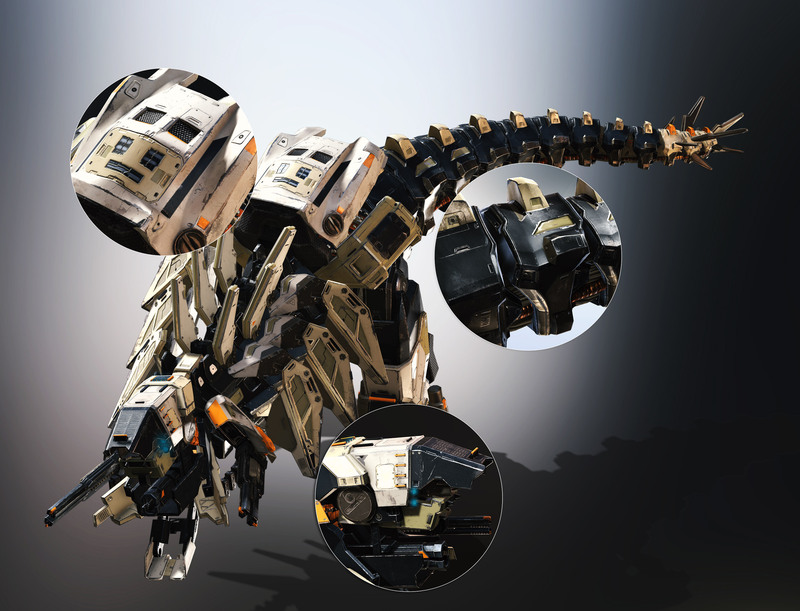 It is worth mentioning that this creature has its very own hand-keyed animations for epic combat stances complete with firing cannons, machine gun ammo belts, head charges, and tail attacks as well as search, menace, walk, run, idle, injured, and casualty motions. Its structure base comes with three different kinds of PBR materials which you can choose from like; Steel, Alloy, and Rust for use in any cataclysmic environment.